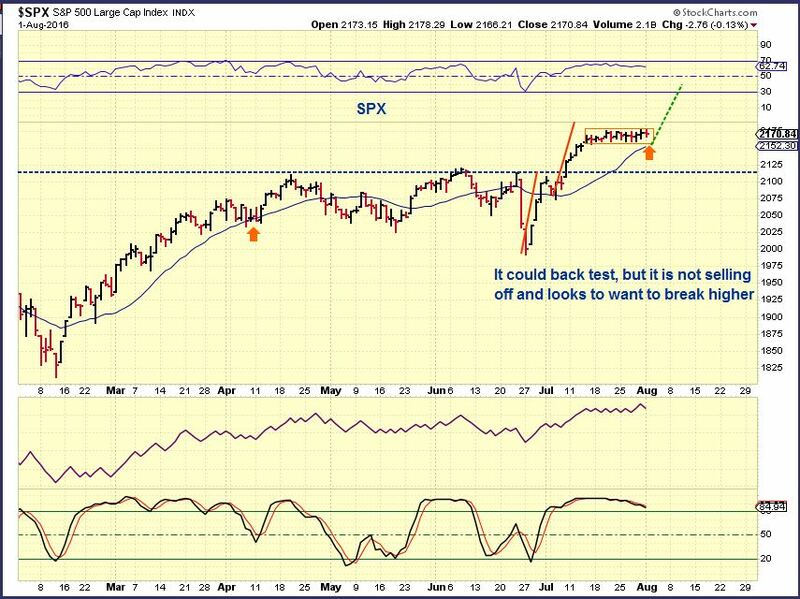 SPX – Not much has changed over the past several days, but consolidations often lead to strong moves. 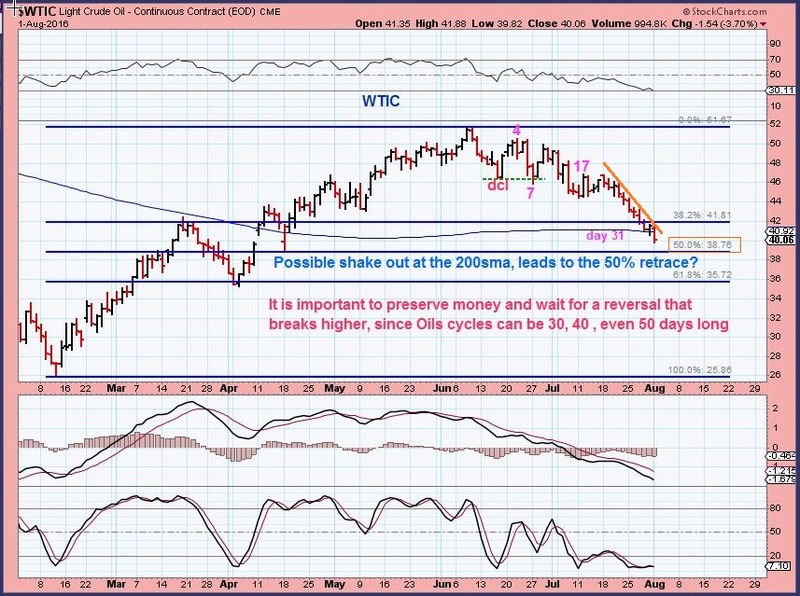 WTIC – The weekend report showed a reversal at the 200sma as possible support, but with long daily cycles in Oil, it is smart to wait for confirmation. Many energy stocks started to look pretty good, but Oil gave it up Monday. Is this just a Shake out under the 200sma? Time will tell. Oil approaches the 50% retrace. 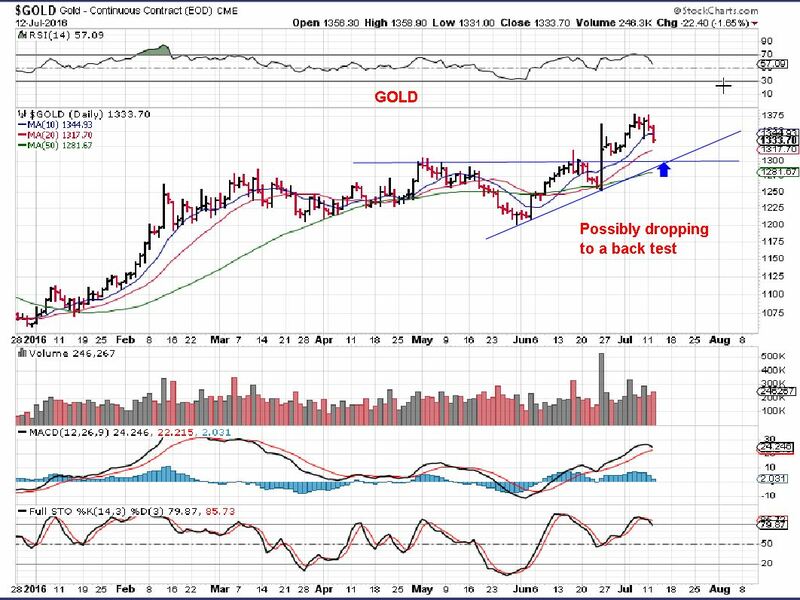 GOLD – A few weeks back, I was looking for a possible back test of the break out and then continue higher. Buy the back test. 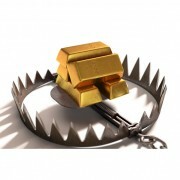 GOLD – Day 7 of a new daily cycle, MACD about to cross up, this was the back test and break out, it can now continue higher. 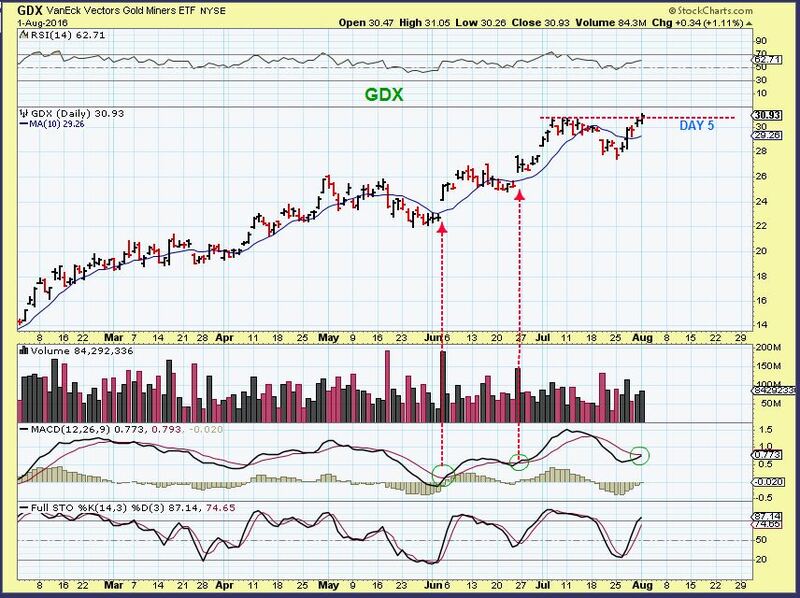 GDX – Monday was day 5 of a new daily cycle, Each time the MACD crossed, the Miners just went sideways and left people guessing before it did begin moving higher. So if it pops and drops, that doesn’t mean this run is ending. We also may just get a break out & immediately run higher. So not much has changed, except that Oil didn’t hold support. 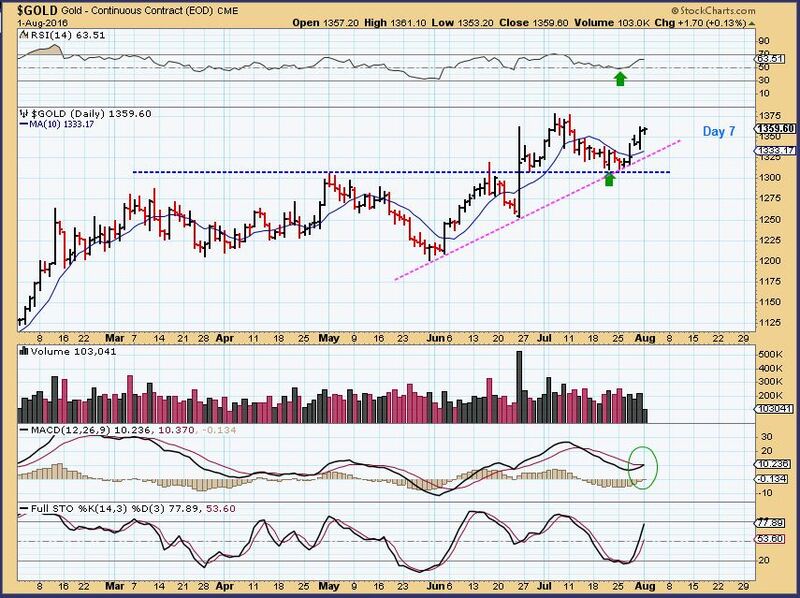 Gold and Miners should run higher, we are positioned there, and have been re-positioning in Miners since Late May and early June. 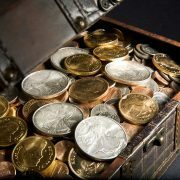 At ChartFreak, we have been buying precious metals mining stocks well before they break out, that’s what we do during a bull market. Each time, suddenly and seemingly out of nowhere, boom they would get going. Lets just spend a moment going through the anatomy of a trade, because it helps to understand the process I follow when identifying trades and builds confidence in the future set ups I will present. TGD – This goes way back to January 2016. 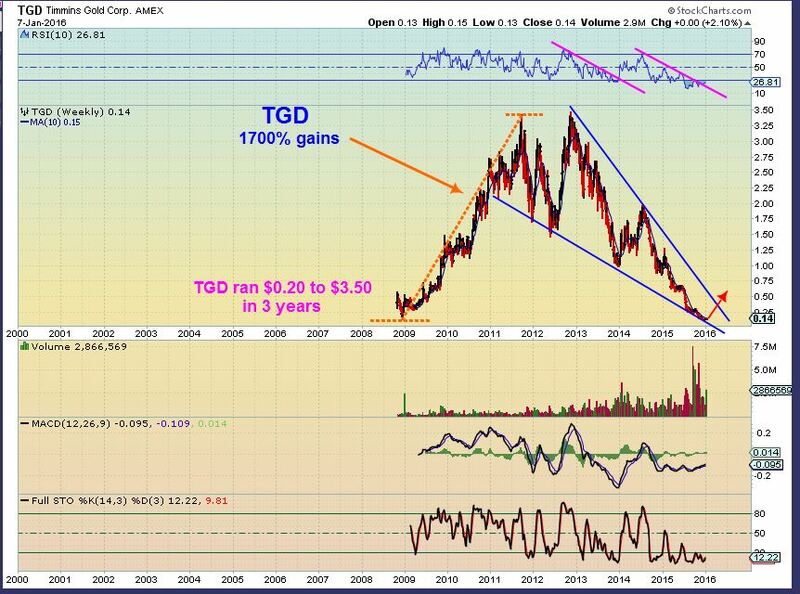 I was pointing out that in 2009 TGD ran up 1700%, and yes over time it could do that again. It is up over 400% at about 60 cents, lets go through the trades. ( There is a tighter wedge inside of this wedge, not shown and TGD has broken from both now). 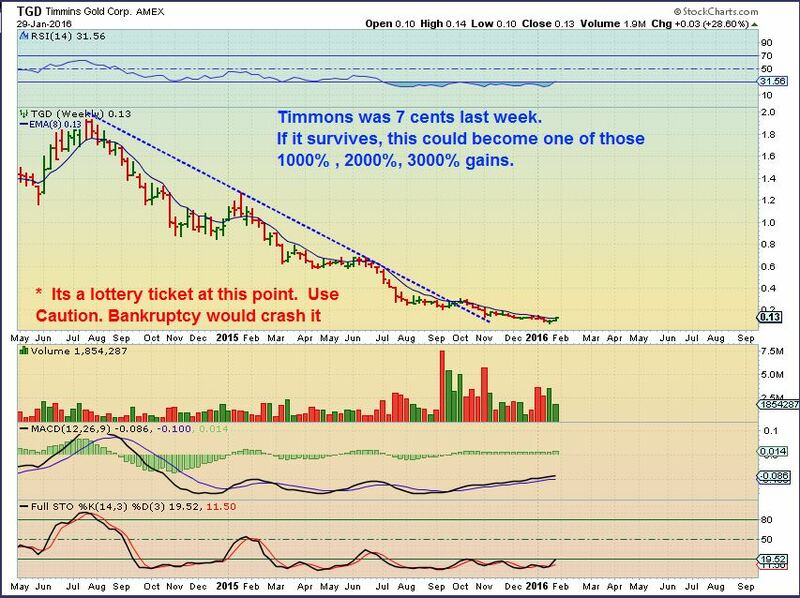 In January – We didn’t know which Miners would survive that bear mkt, but the charts show progress. 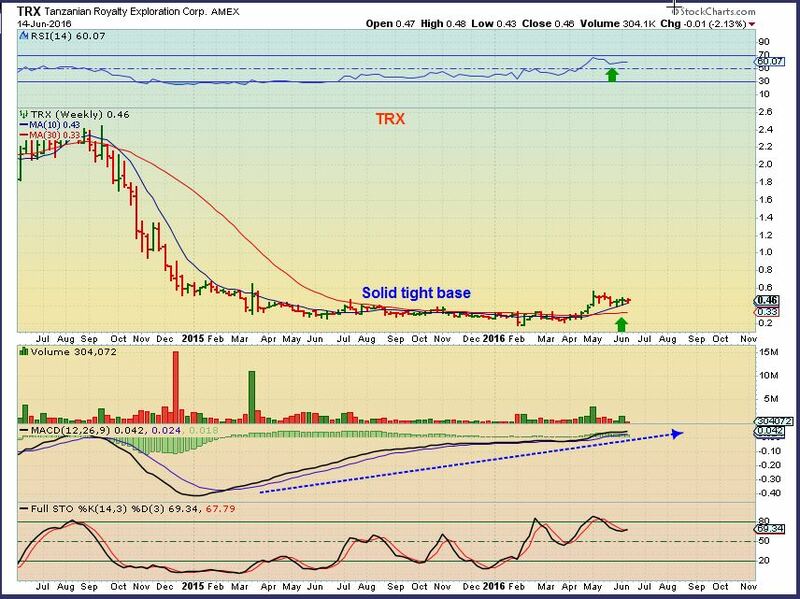 We were buying this at 9 cents,12 cents, 13 cents, as it broke above the 13 ema (Bullish) . Read the chart. 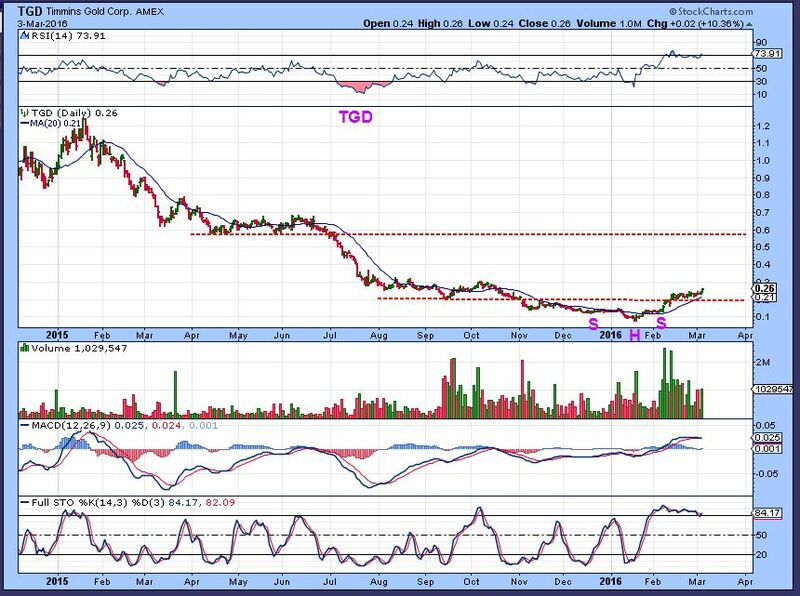 TGD March – Clear break out and bullish inverse H&S set up. A Run to 60 cents resistance should occur over time, but it might slow at the resistance on the left first. A weeks ago, I was again pointing this out as one that is set up nicely, I thought we could get a strong ‘Pop’. It remained a Miner to add to positions. CORE – I have received a few emails about “Core” holdings over the past few weeks. I’ve also heard, “What do you own as Core holdings? I think I should own those as my core too”. I want to address the idea “of a core” here, because it really is a common question, and understandably so. People are seeing the type of run these Miners can have in a bull market and want to just ride some of them, ignoring the wiggles. In 2015, I was discussing CORE positions. 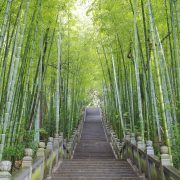 If you were a member then, you may recall that I pointed out a few stocks that had already bottomed long before the recent bottom. RIC, NG, LSG, and a few others were pointed out with these charts. They became my Core positions, because they showed strength in the bear market. Lets review. RIC bottomed in 2013. I said that some should make this a part of their core when it was under $3. 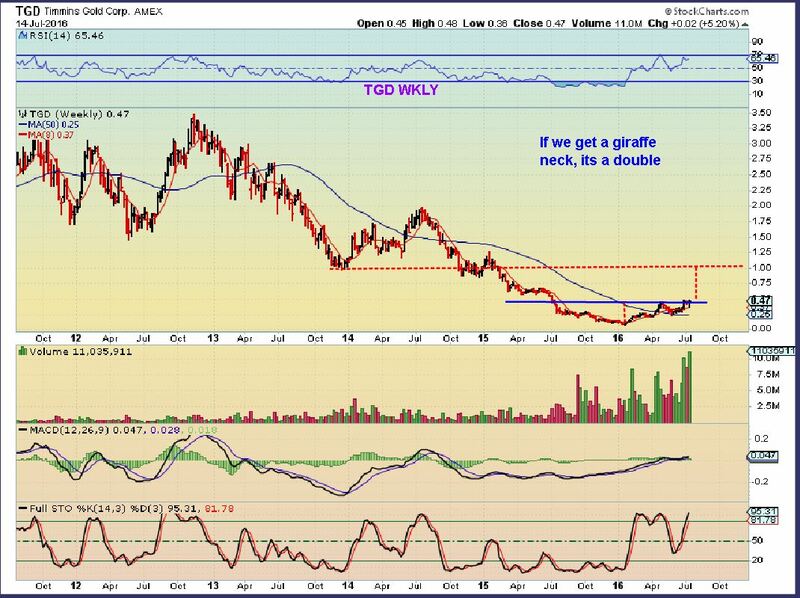 Read what I wrote on this chart, it became part of my core above $1 and $2 here, it is now $11. 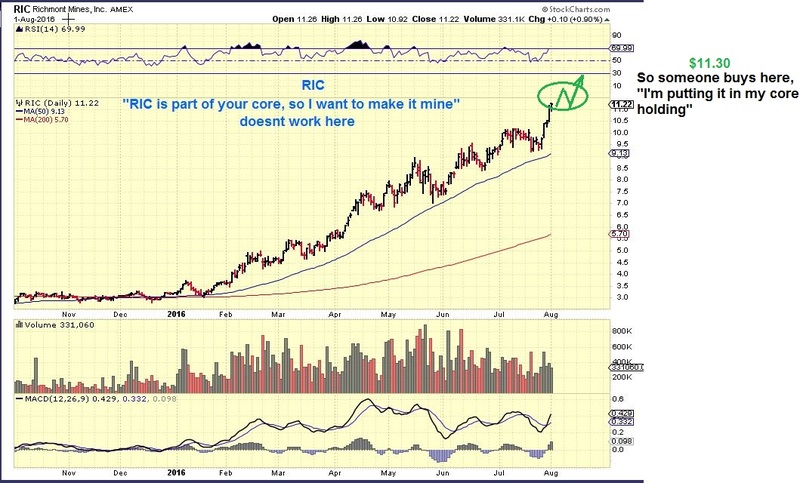 RIC – So if someone says, “I want to copy your core positions”, I can’t just say , ” I own RIC, go buy it”. I bought it so much lower. 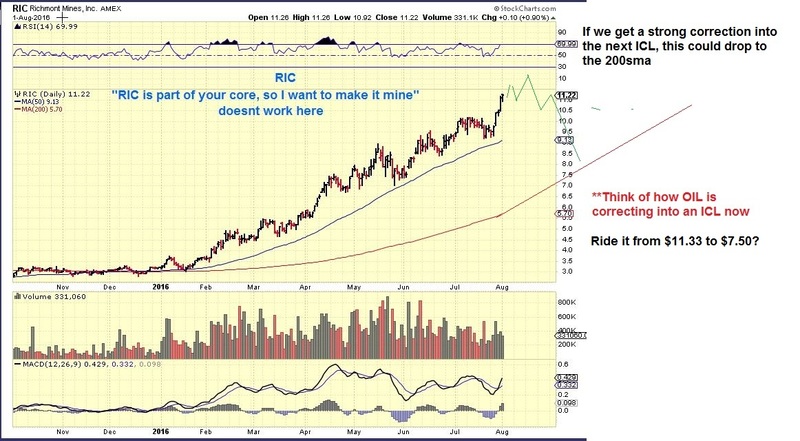 I do think RIC can go a lot higher, but buy the dips when looking to add a core position. 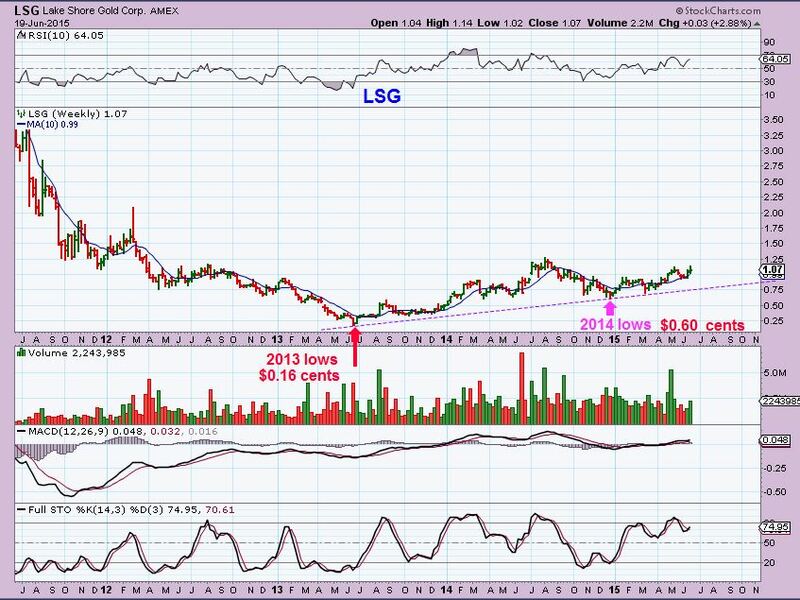 We could actually see a drop to $7.50 or $8 going into the next ICL. Think about how OIL is dropping now into its’ ICL now. When OIL was trading at $54, it seemed that it couldn’t drop to $40, but it has. 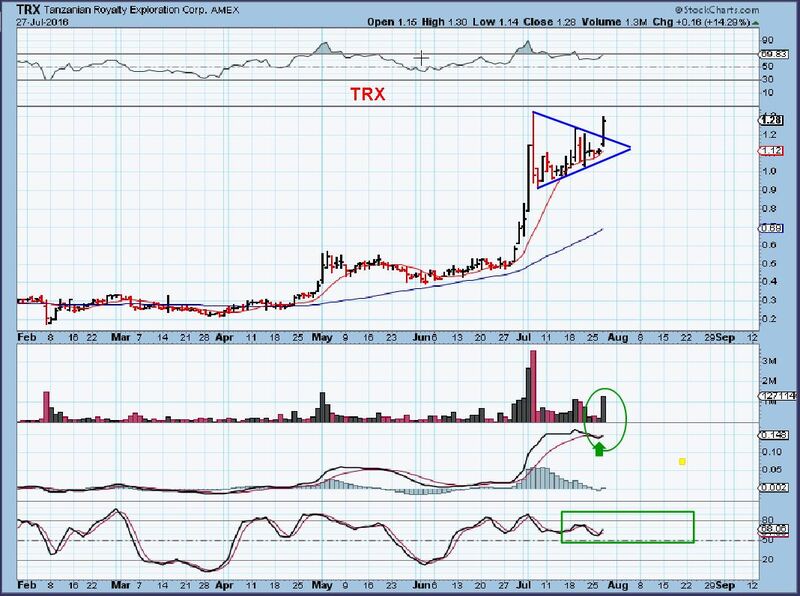 When these Miners are on Fire, it seems that the fire wont go out here either, but an ICL is coming in late Sept / Oct.
TRX – We started adding to this base as a core as it broke above and back tested important moving averages on a wkly basis. With a base like this, I ALWAYS say that things can get explosive. As part of my core down at $0.33 – $044, I can’t necessarily recommend it as a ‘core’ for others. It may be a bit extended now to enter as a core position. It was a BUY recommendation a few weeks ago, and here we see the follow through. 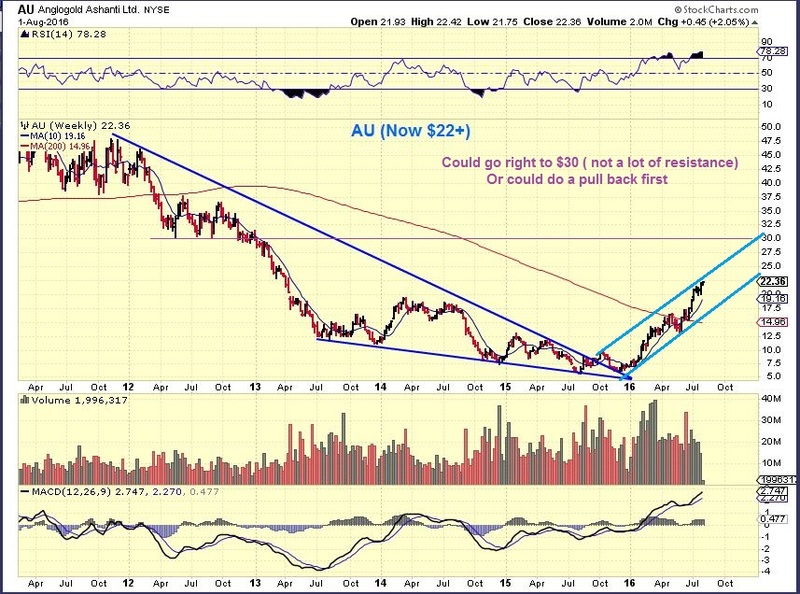 AU – This chart is from my report in December, and I had been posting this for months as a “Core” candidate, because it bottomed well before Gold did last December ( AU bottomed in July). It had broken out and back-tested a huge wedge. AU Aug 1st- This could still double from here over time, but it’s a bit extended too. We will get a buying opportunity again after a dip into the fall. 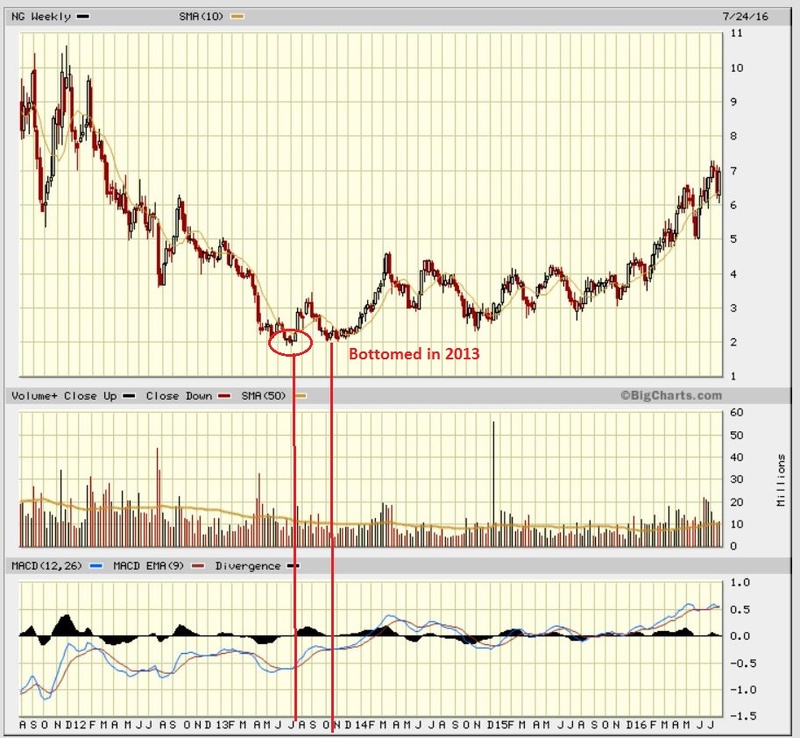 NG – I mentioned last year that NG actually bottomed in 2013. NG should have become a core position as it built a base. Why? Because NG battled the Bear Mkt and was winning. NG can still move higher as the bull runs further along. 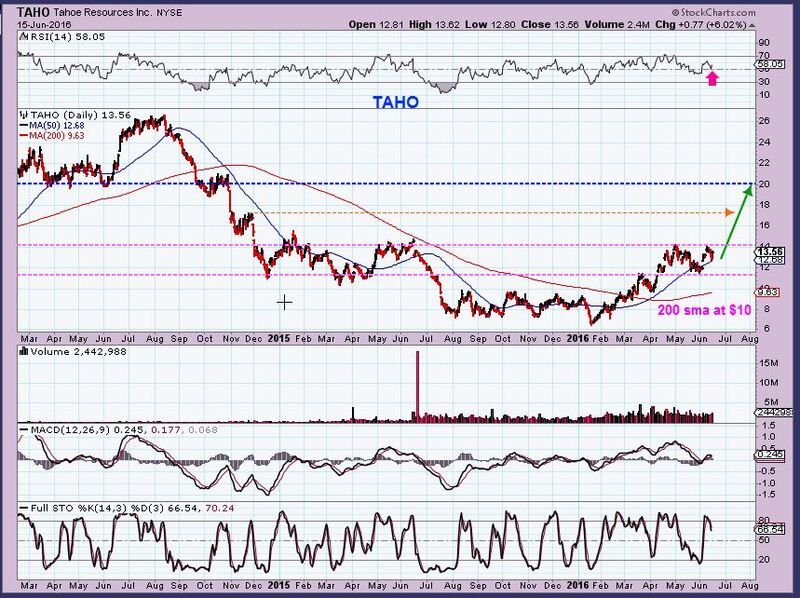 TAHO – A long base with plenty of upside and good fundamentals. I was pointing this out as very bullish long term when it was $8, $9, and $10. 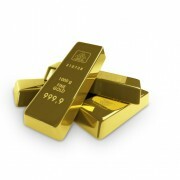 They had great earnings, a dividend, upgraded by analysts, etc. 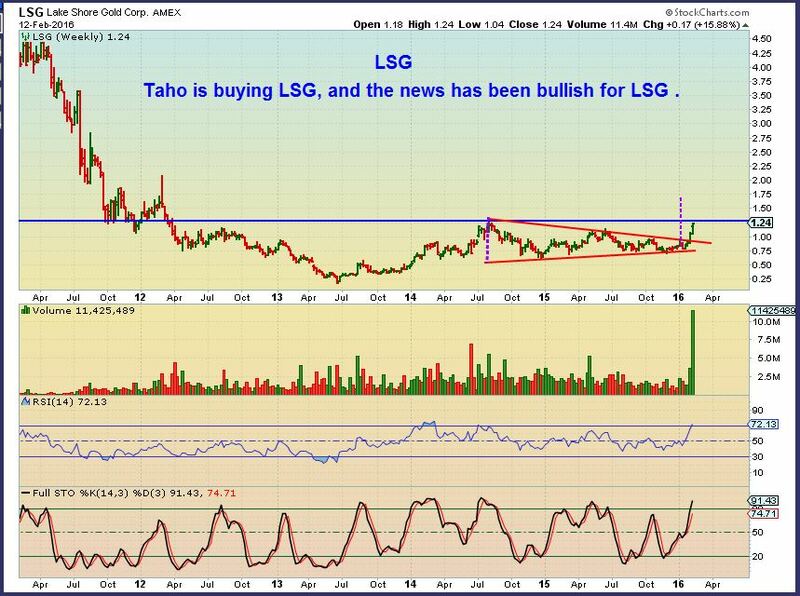 They even bought a Mining company that I owned and recommended as a core position here (LSG). They bought LSG (Lakeshore). This was my chart from Last summer, showing how it battled the Bear Market and was winning. Obviously a solid company to be able to bottom at 16 cents and then be at $1.07 at the end of that bear market, shown here. 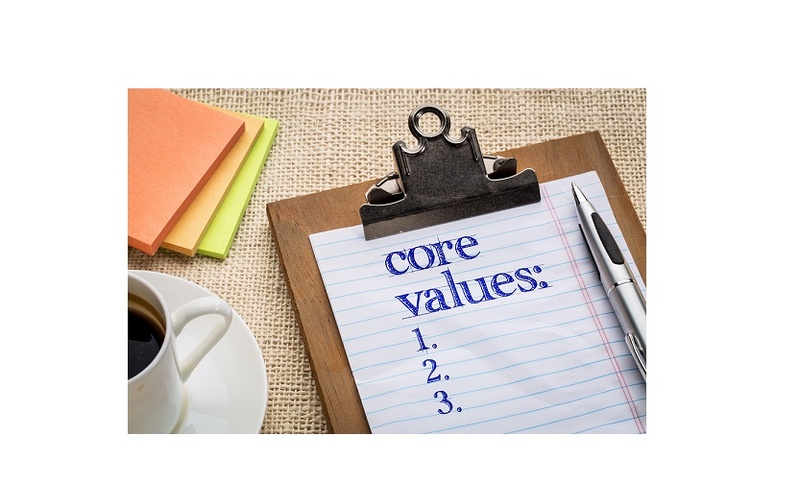 This was recommended as a “Core” position. So again, in February I recommended it here under $1.00. This is a strong pattern and I expected a strong break out. And got one shortly after, but they were soon purchased by Taho. So TAHO has been a bit of a slow gainer. They are up about 100% from Feb Lows, and it has good potential in the long run, in my opinion. 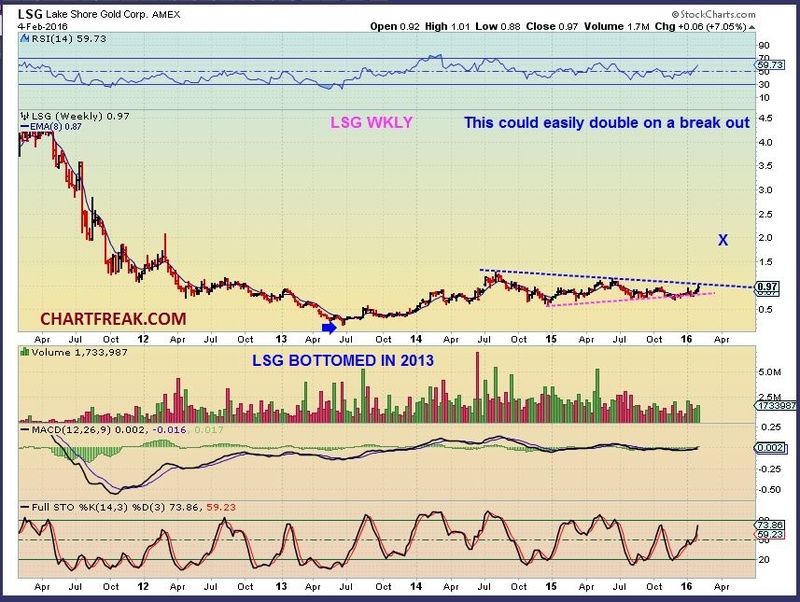 AG – This is an actual ‘clip’ from my Feb 6th report encouraging a BUY of this break out. 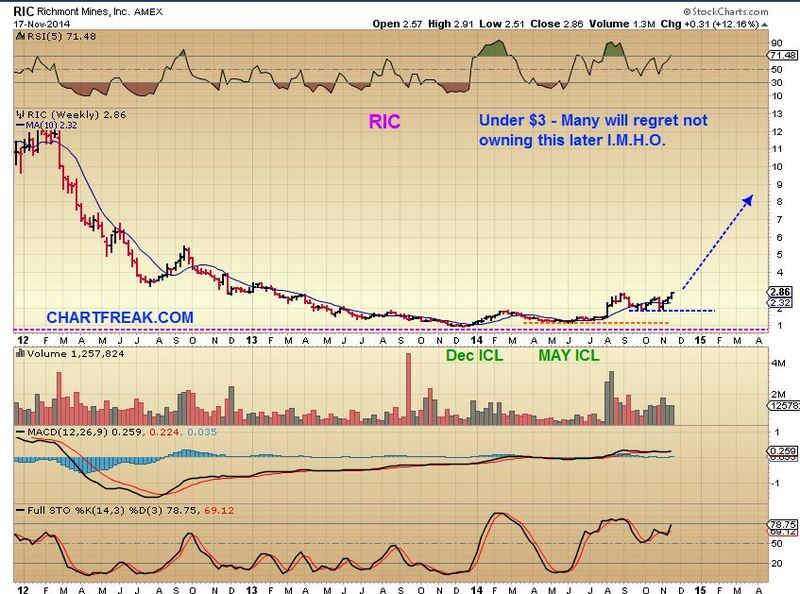 I had been encouraging RIC, NG, LSG, etc as CORE holdings. 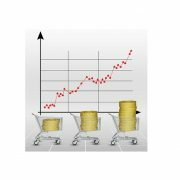 In the 2009 run, AG went from 90cents to $27 in 2 yrs. That showed the potential of some of the Miners currently moving higher! 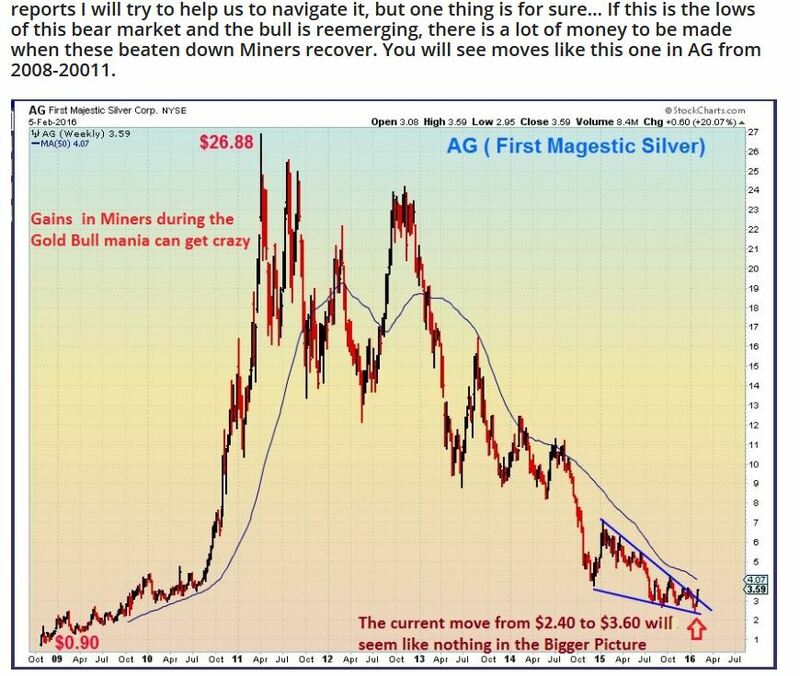 Today AG, First majestic, is over $17 and should continue to rise with this reinvigorated bull market.. So again, I was getting emails asking me to post my CORE positions so that others can copy those positions. As shown here, that will not work, because I acquired a lot of my core at the end of the bear market and they are up 400, 500, 700% already. That doesn’t mean that it is too late to start a core for this bull market. I do believe that the bear market is over, and I believe many of these Miners are going to be a LOT higher 1 or 2 years from now. Searching for core opportunities may be rewarding when the next ICL comes up , which I expect this fall. 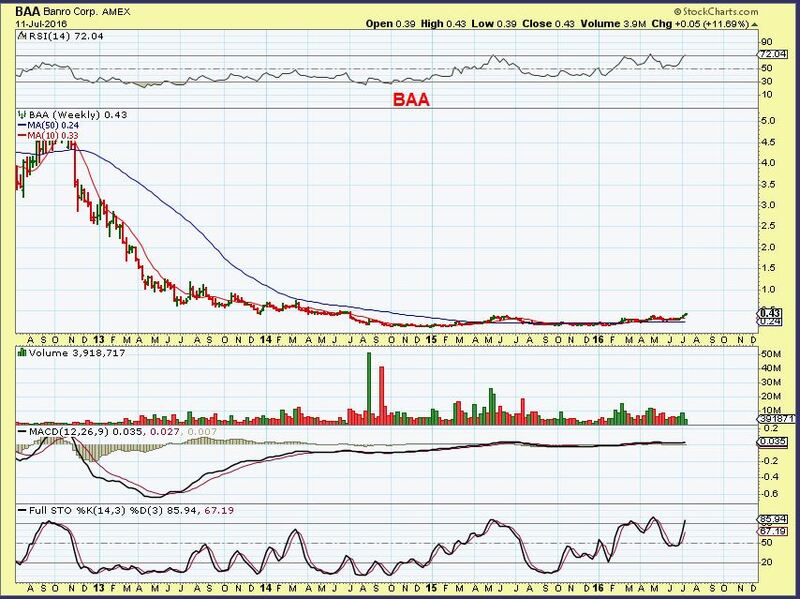 BAA – Recently I pointed out this huge base, is it a part of your core? I see huge potential. Can you buy & ride the wiggles? 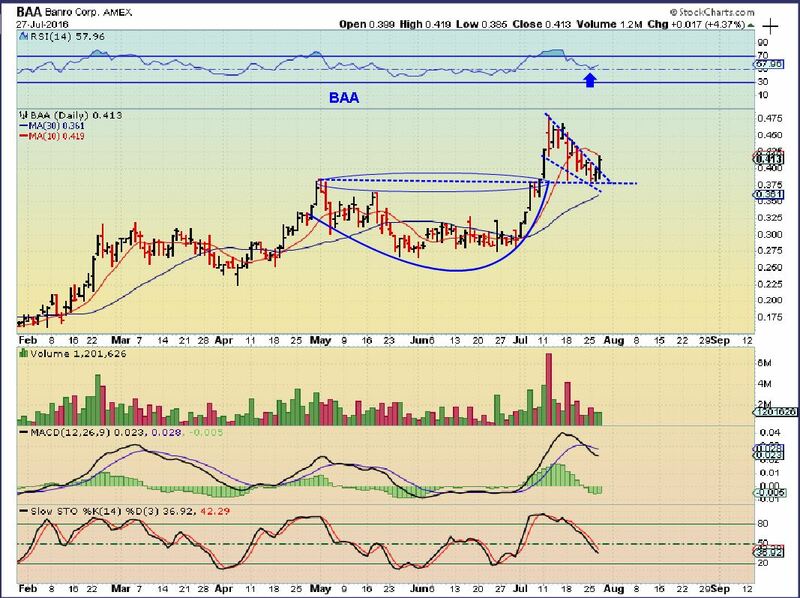 I first recommended BAA at $0.15 and $0.20. It took forever, but it doubled and tripled now. It has PLENTY of upside potential over time, wouldn’t you say? 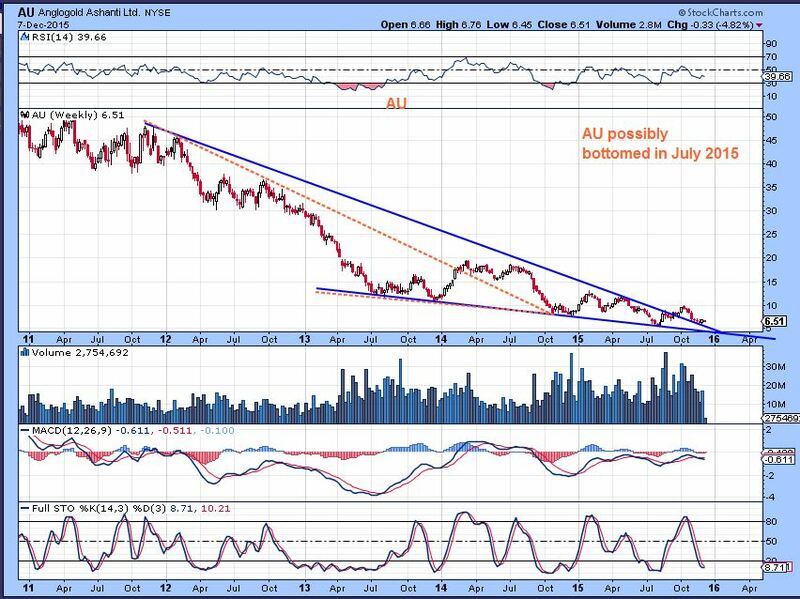 JULY 27th – I zoomed in Last week and posted this bullish set up. It is still at $0.42. I think the train may be leaving the station on this one soon.